You might feel like your mobility has changed, or simply isn’t what it used to be, and this is completely normal. What’s not normal is having an environment that can’t address your needs, which is where Able Care Group comes in. Serving Hunterdon County and other parts of New Jersey, we are committed to providing you with the mobility solutions that can make a huge difference in your life. Whether you’re looking for outdoor or indoor stairlifts, curved rail stairlifts, elevators, vertical platform lifts, or ramps, we have it all, and can help get your home or business set up in a way that provides equity and accessibility. Get started with our team today! Your business or home shouldn’t only be accessible to those who can get up stairs with ease. 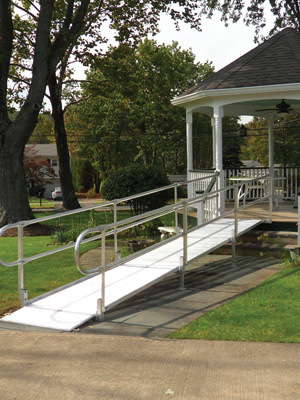 Make mobility and opportunity easier with portable ramps, aluminum ramps, and commercial ramps from Able Care Group. Getting up and down the stairs should be common, not complicated. Whether you need a curved rail or straight rail stairlift, Able Care Group is here to help. 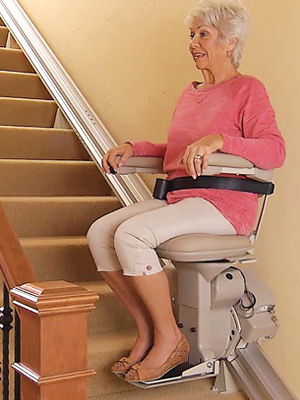 See our indoor and outdoor stairlift options! 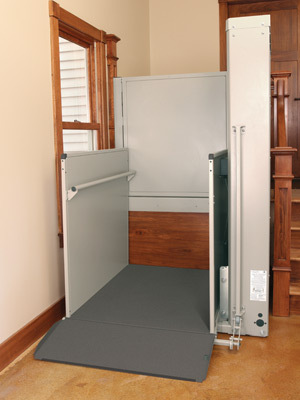 New possibilities in your accessibility and mobility can finally happen when you get a vertical platform lift installed by Able Care Group. We work with Bruno and Harmar, the leaders in platform lifts, to provide the residential, commercial, and vertical platform lifts that you’re looking for. Make your home or business easier to access for all — contact Able Care Group today. 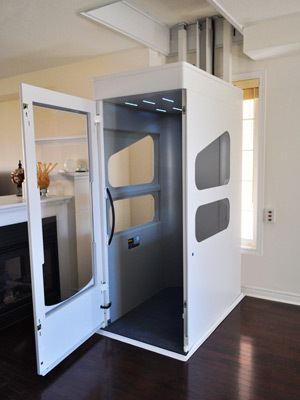 Your mobility, or the mobility of anyone around you, can greatly improve when you get an elevator installed by Able Care Group. We work with only the best brands, such as Wessex, to help your home or business have better-than-ever accessibility. 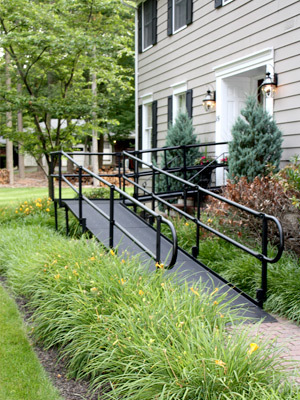 Able Care Group has a variety of pre-owned equipment options for you or a loved one to consider, including ramps, stairlifts, and more. The previously owned equipment we have available regularly changes — visit our page to see what’s current.